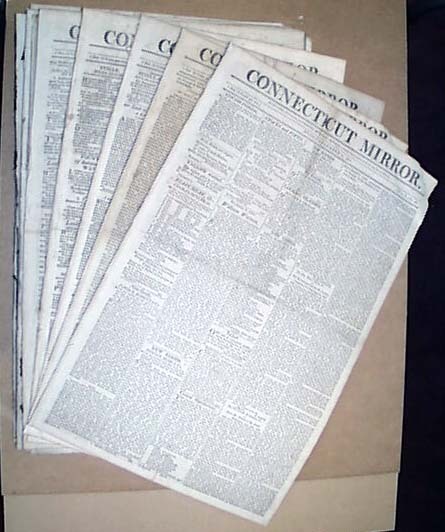 Item # 180081 CONNECTICUT MIRROR, Hartford, 1809 A lot of 6 volume I issues. Has news of the day and ads. Occasional foxing, otherwise in good condition.